Students at Kingston University have told The River how they are using cannabis oil to help them deal with stress and focus on their studies. A craze for cannabidiol (CBD) oil to help with pain, anxiety, sleep and other health issues has been sweeping the country since it became available on the UK high street in January 2018. Sold as a food supplement rather than a medication, CBD can be purchased from stores like Holland and Barrett without a prescription. One accounting and finance student, who wished to remain anonymous, said: “It gives me a relaxing feeling, and helps with pain. Personally, it did help me with the stress of studying and it’s something I will use regularly. CBD is extracted from the flowers and buds of cannabis plants, but products sold must contain a maximum of 0.2 per cent THC, the chemical in cannabis that gives users a high. A study by Care By Design, which surveyed around 2,500 CBD users, found that more than 80 per cent of those with anxiety experienced improved mood after 30 days of using CBD products. However, because CBD is currently classed as a food supplement, rather than a drug or medication, here is almost no regulation and little is known yet about long term effects or appropriate dosage. 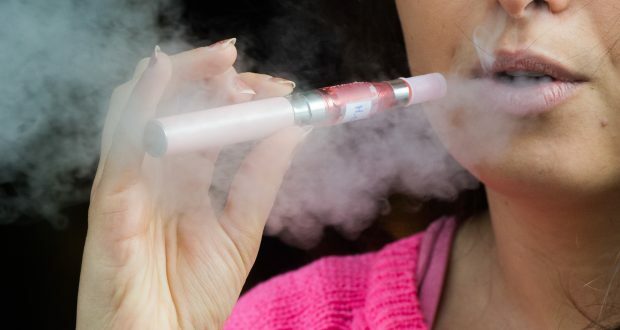 In April 2018 the US army issued a public health warning after approximately 60 people were hospitalised “with medical conditions potentially related to vaping products marketed as containing CBD oil”. It is thought that the symptoms, including vomiting and seizures, were brought on by synthetic imitations of pure CBD. Curious KU students are also experimenting with CBD, with many disappointed with the effects. “I’ve vaped it, taken it orally and one time I put it in a bong with my friends. We thought it would be funny, but I wouldn’t do it again,” said international business student Kevin Sivak. Although existing evidence suggests that pure CBD is largely safe, whether it could help students with their work is debated.